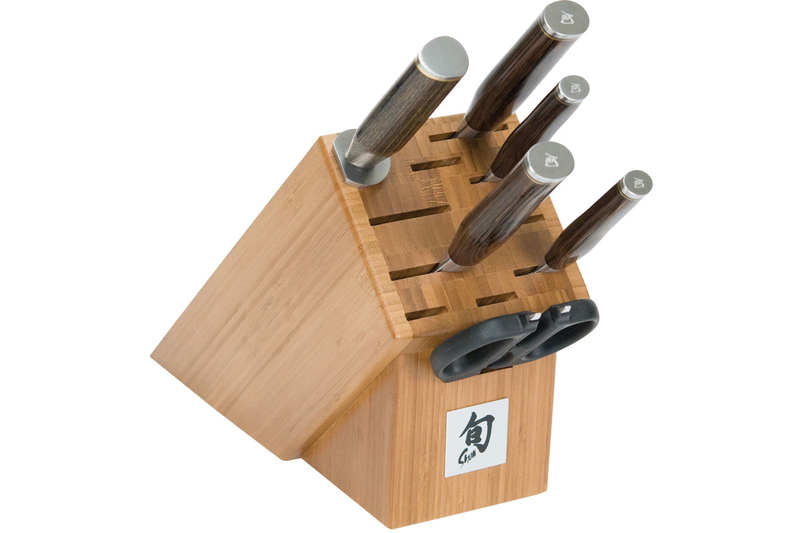 The Shun Premier 7 piece knife block set has a combination of the most essential knives for any kitchen. They all feature a unique PakkaWood handle with a walnut finish that's comfortable and stylish. The knives in this Shun Premier set also have the unique hand-hammered blade finish that helps keep food from sticking to their blades. These knives have a hard steel edge and are clad with 34 layers of stainless steel, so they're long lasting and rust-proof. PakkaWood handles made from a combination of resin and white birch with a walnut finish.